The head of the North Atlantic Treaty Organization warned the US Congress on Wednesday of the threat posed by “a more assertive Russia” to the alliance, including its violations of the Intermediate-range Nuclear Forces Treaty. Stoltenberg also used his speech to give a ringing defense of “the most successful alliance in history,” which has often been derided by US President Donald Trump. 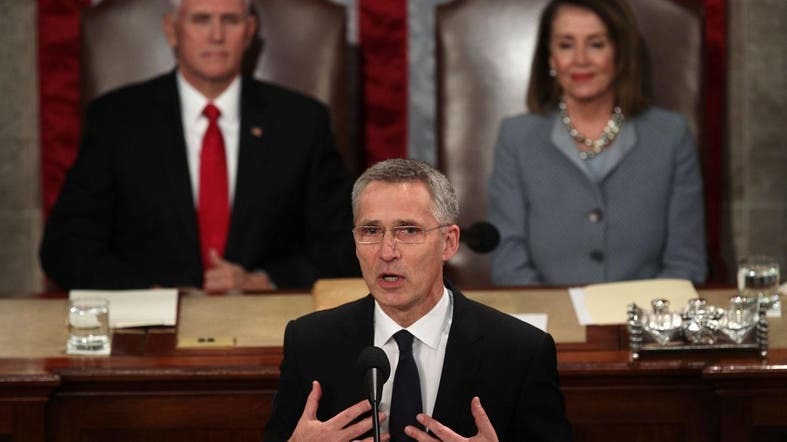 Members of Congress, who greeted Stoltenberg with repeated cheers and standing ovations, said they viewed his address to the joint meeting of the House of Representatives and Senate as a chance to reaffirm the American commitment to the NATO alliance. Stoltenberg was the first Norwegian ever accorded the rare honor of such an address. “NATO has been good for Europe, but NATO has also been good for the United States,” Stoltenberg said. Stoltenberg met on Tuesday with Trump, who said his pressure on NATO nations to pay more for their defense is leading to tens of billions of dollars more in contributions, but the allies may need to boost their budgets even more. Stoltenberg said NATO member countries are “adding billions” in defense spending.